Our approach to goods and services disputes is unique and personalised. No one dispute is the same, and we want to understand what the drivers are behind the dispute and what the best-case scenario outcome looks like for you. We do not jump into litigation lightly, and will generally recommend a number of other options and tactics before we look at filing a claim in Court. We act for businesses, manufacturers, distributors and individuals in all types of goods and services disputes. We stay on top of the changes to the Australia Consumer Law which, despite its name, also applies to B2B transactions. We regularly review the ACCC and Court decisions to ensure that we are providing you with the best advice on how the Courts are approaching goods and services disputes and how this impacts you. The most common disputes we see relate to claims that goods or services are defective, non-payment, breach of warranties, the effect and enforceability of a limitation or exclusion of liability, late delivery, and responsibility for damage during transport. 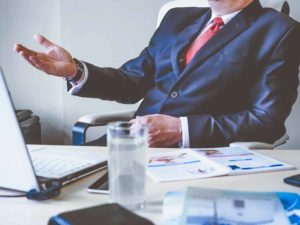 Many disputes can be prevented by taking proactive action at the contract stage, which Beck Legal’s commercial team can assist with. Despite this, sometimes disputes still arise. Common Law – Advice on breaches of the common law obligations that apply to trade and commerce, including misrepresentation and misleading and deceptive conduct. Advising and assisting with the VCAT process, if it is an option. Beck Legal understands that litigation is expensive, time consuming and stressful. We generally view it as a last resort and will only recommend it if we consider your prospects of success are reasonable and you have a good chance of actually recovering your loss/damage and legal costs from the other party. Our litigation team are tough negotiators, and have acted in countless goods and services disputes for businesses and individuals across Victoria for more than 35 years. We know how to approach disputes in the way that is most likely going to achieve the outcomes you are looking for. For more information about our goods and services dispute resolution and litigation services, get in touch today.